Prince Harry was in Nepal for an official visit recently, and remained in the country following his official engagements to work with Team Rubicon UK on an earthquake relief project. 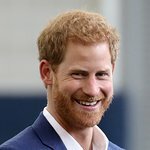 Prince Harry was embedded for a week with a group of Team Rubicon volunteers in a remote village to help with the reconstruction of a new school destroyed by the 7.8 magnitude earthquake of April 2015. Pror to the trip, a press release said the team intended to trek into the mountains to an earthquake-affected area in Central Nepal, with their own equipment to assist the local community in all aspects of repairing and rebuilding their school. During his official engagements, Prince Harry saw numerous initiatives that have supported the people of Nepal in returning to normality following the huge destruction from the earthquakes almost a year ago.